Matthew Basile is a massive supporter of us here at Victims and Villains. He shares just all of our content, he’s won our Philadelphia Comic Con giveaway contest, and he more recently even added his voice to our site. You can check out his reviews here. We’re extremely grateful for Matthew. It’s finally so good to get him into the studio to talk about his projects. Click here to check out his book, Brandon’s Fairy Tale. Be on the look out for his upcoming kickstarter to his follow-up, Wolf’s Howl. 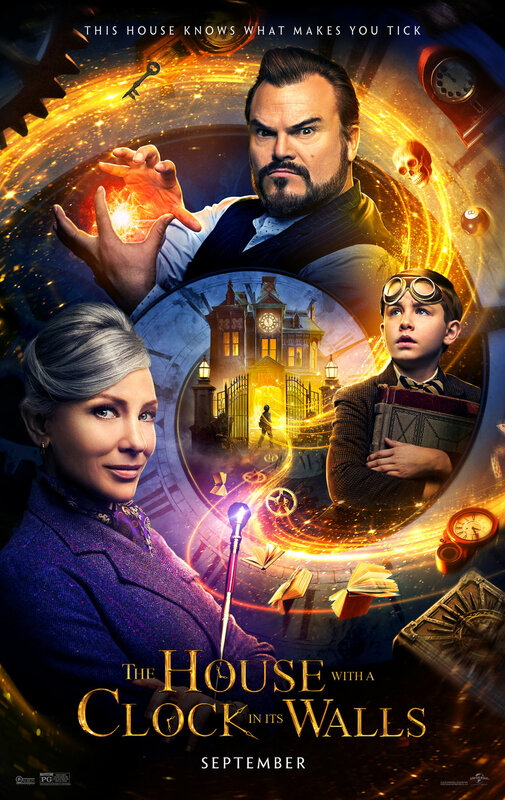 We are only a couple of weeks away from the cinematic adaption of The House with a Clock in its’ Walls. Before the clock starts for the theater, journey back with us to the film’s source material, the 1973 book of the same name. We’re diving in deep to this book but if you guys have read this book, what did you think of this book? Make sure you guys let us know in the comments below. When you’re young, you tend to have a better sense of wonder. This book is full of wonder and magic. We’re jumping in to the deep of it. Given its’ target audience though, some of the magic may come across a bit darker. Again, let us know in the comments what’s the coolest magic trick you have ever seen? A big portion of this book’s main character, Lewis, deals with bullying. We are a podcast that jumps deal into the topics that could drive someone to suicide. Going untreated or quiet can definitely cause a bully victim to a means of suicide or self-harm. To find out more information on bullying, please click here. To get resources for bullying, click here. If you see something, please say something. For more information on A Podcast about Something, click here to check out their podcast. Be sure to check them out on our podcast, by clicking here. For more information on our network, That’s Entertainment, click here.